The Reckoning: Death and Intrigue in the Promised Land—A True Detective Story, by Patrick Bishop. New York: Harper Collins, 2014. 320 pages. Acknowledgments to p. 261. Notes to p. 283. Picture credits p. 285. Index to p. 299. $26.99 cloth, $15.99 paper, $12.99 e-book. For Carl von Clausewitz, the classical military theorist, war was “the continuation of politics by other means.” But military historian Patrick Bishop doesn’t present a comprehensive political analysis of Zionist Revisionism’s spinoff that Britain called “the Stern Gang,” after its founder, Avraham Stern, who wanted Zionists to unite with Hitler against Britain. Instead we get “a true detective story” claiming that Geoffrey Morton of the British colonial Palestine Police murdered Stern. According to Bishop, “Stern’s political opinions were hazy and coloured by his poetic imagination. . . . He could find positive attributes even in Mussolini, Stalin and Franco” (p. 48). But that doesn’t explain why he left Vladimir Jabotinsky’s Revisionists, or why hundreds followed him out. We aren’t told what “Revisionism” refers to or given its history. When Britain declared Palestine the “Jewish national home,” it included Jordan. In 1921, London separated Jordan from Palestine. As no Jews lived there, the World Zionist Organization (WZO) accepted the loss, but Jabotinsky insisted that the WZO “revise” its policy. He later quit the WZO and sought a new Mandatory military protector, “Italy or some condominium of less anti-Semitic states interested in Jewish immigration,” [†] as part of his nascent Revisionist movement. Although Jabotinsky ridiculed Mussolini, the Fascist Duce, “Buffalos follow a leader. Civilized men have no leaders,” [§] he was brutal to the Arabs in colonial Libya and Jabotinsky wanted that in Palestine. In 1934 Mussolini authorized a Revisionist unit at his naval academy, and many joined Italy’s University Fascist Youth (GUF). Elsewhere, many Revisionists also disregarded Jabotinsky’s critique of Il Duce and declared themselves Fascists. Stern himself studied in Fascist Italy. Born in Poland in 1907, he arrived in Palestine in 1926. He became a Revisionist in 1932, and he traveled to Italy “on a scholarship provided by the Mussolini government” (p. 50). In 1934 he organized “the purchase of arms from Italian and Polish sources” (p. 50), and later convinced anti-Semitic Poland’s army to train Revisionists from Palestine in “terrorist bombing . . . sabotage was taught on a scientific basis” (p. 54). While Jabotinsky’s Irgun Zvai Leumi (National Military Organization) planted terror bombs in Arab markets to counter the frequent Arab attacks on Jews, Mussolini’s turn to Hitler and then the outbreak of World War II forced Jabotinsky to support Britain against Germany and stop the Irgun terror. Angered by Jabotinsky’s decision, Stern and his followers set up a rival Irgun in 1940. For them, Hitler was an oppressor, but in 1939 London abandoned the notion of a Jewish state in Palestine, the only solution to anti-Semitism; therefore Britain was the main enemy of the world’s Jews. Stern tried to make a deal with Italy. Under the Sternists’ “Jerusalem Agreement,” Italy would “organize the transfer of Jews under Axis control to their homeland. . . . modeled on Mussolini’s Italy” (p. 109). However, the self-proclaimed Italian agent they dealt with really was a member of Jabotinsky’s Irgun, and the Irgun used the agreement to discredit the Sternists among Jews in Palestine. The Italian government never saw it. Bishop gives us much about the diplomat and the representative but only briefly quotes the politically bizarre document. He then returns us to the Stern Gang’s anti-British terror and Geoffrey Morton’s 1942 capture of Stern. He shot Stern, claiming he tried to escape. 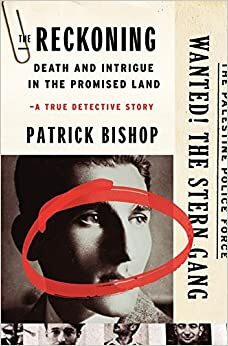 Bishop details decades of controversy regarding whether Stern did try to escape, or if Morton murdered him in retribution for the Gang’s slaying of some British Palestine police. The slaying is the prime focus of the book. The publisher’s paper jacket promo begins by telling us that “renowned military historian Patrick Bishop revisits the death of notorious Zionist leader Avraham Stern—head of the infamous Stern Gang—challenging the prevailing account of his demise.” Indeed the last 76 pages of the 258-page text march us through nonstop controversies about Stern’s death until Morton’s funeral in 1996. Aside from its detailing of Stern’s involvement in the Polish army’s training of Revisionist terrorists, the book adds little to our political understanding of Hitler-era Zionism. Committed scholars of that topic should read it, in spite of its endless fluff regarding Morton’s psychology, but beginning students of the subject must be told that they have to also read the complete text of the Jerusalem Agreement and Stern’s proposal to the Nazis, plus several other authors, to gain a serious comprehension of that issue. Lenni Brenner is the author of Zionism in the Age of the Dictators (Westport, CT: Lawrence Hill, 1983) and the editor of 51 Documents: Zionist Collaboration with the Nazis (Fort Lee, NJ: Barricade Books, 2002). † Joseph Schechtman, Fighter and Prophet: The Vladimir Jabotinsky Story; The Last Years (New York: Thomas Yoseloff, 1961), p. 304. § Vladimir Jabotinsky, “Jewish Fascism,” The Zionist (London), 25 June 1926, p. 26. ‡ Paul Novick, Solution for Palestine: The Chamberlain White Paper (New York: National Council of Jewish Communists, 1939), p. 18. * “The Fundamental Features of the Proposal of the National Military Organization in Palestine concerning the Solution of the Jewish Question in Europe and the Participation of the NMO in the War on the Side of Germany” [in German] in David Yisraeli, The Palestine Problem in German Politics, 1889–1945 (PhD diss., Bar-Ilan University, 1974), pp. 315–17.